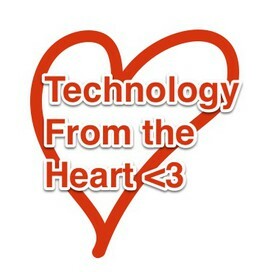 Instructional Technologist with a passion to help students and teachers integrate technology into their every day lives...both personal and professional. The under 13 policies most Web 2.0 tools post are to comply with the FTC’s COPPA rule. COPPA basically says the following: Websites can’t target children, collect information from them, and then market to them without the parent’s permission. How can any child under 13 log in and create an Animoto, Voicethread or Google Doc? Any child can use almost any Web 2.0 tool with parental permission. Most school districts have a broad statement about Internet usage in the student handbook. Parents sign the agreement giving their permission for students to use the Internet as teachers and administrators deem appropriate and as described in the district’s Acceptable Use Policy (AUP). In addition, “COPPA allows . . . schools to act as agents for parents in providing consent for the online collection of students’ personal information within the school context” (COPPA FAQs). Often times, a Web 2.0 application will require a valid email address to create an account. In order to maximize the safety of the online experience of students, you can create “dummy” Google Gmail accounts to allow you to control the accounts of the students. This will allow you to have greater supervision of the students’ online activities. First, you will need to have your own Gmail account. If you don’t’ have one, or have one for personal use, it is recommended that you create a separate Gmail account just for school use. To sign up for Gmail, go to http://gmail.google.com, click the “Create an Account” button and fill out the registration form. NOTE: You don’t actually have to create these email accounts. They all will go to the scullum2012@gmail.com inbox. Gmail ignores the “+” and anything after it. Because these sub-emails will all end up in your Gmail inbox, you will want to organize them using the Gmail filters. Filters are sort of like folders. When someone sends you an email, you can tell Gmail what to do with that email. In this case, we are going to create a filter for each of the student “sub-email accounts” that we are using. When logged onto Gmail, click the “Settings” link in the upper right-hand corner of the screen. In the next step, you will check the “Skip the Inbox” option and “Apply the Label:” option. You will choose “Create New Label” from the dropdown menu and give the label the same name as you put after the “+” in your sub-email address. For example "student1"
Ensure that the account for the Web 2.0 account does not contain personal information. Emails sent to the sub-email account will appear on the left side of Gmail. Instructional technologist with a passion to help students and teachers integrate technology into their everyday lives, both personal and professional.